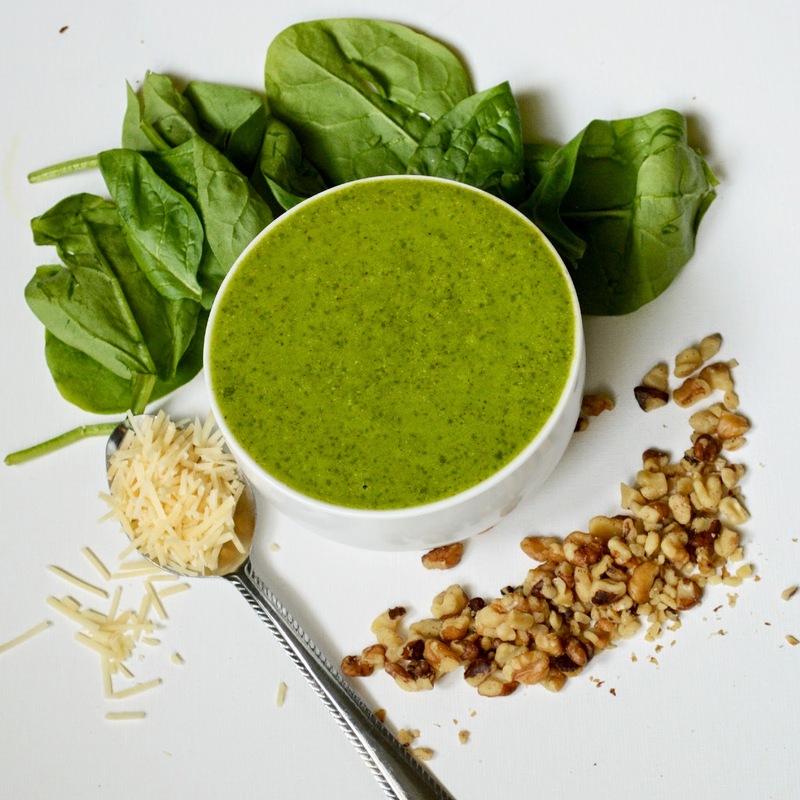 This Pesto is Ah-MAZE-ing! I love all types of pesto, from the most traditional, to the farthest out there. This one gets made on the regular around here. I pack it full of spinach on the sly so that a certain picky little boy will eat it and I use walnuts because I prefer the flavor with spinach. I'm going to try to start showing some quick recipes of homemade staples that I keep around the house every few posts. You can often find me eating this pesto from a spoon while the pasta is boiling. It is so quick, easy and nutrient packed! I know, I know, nutrient packed doesn't scream delicious but in this case it is. It is so freacktastingly good I cannot even begin to tell you. 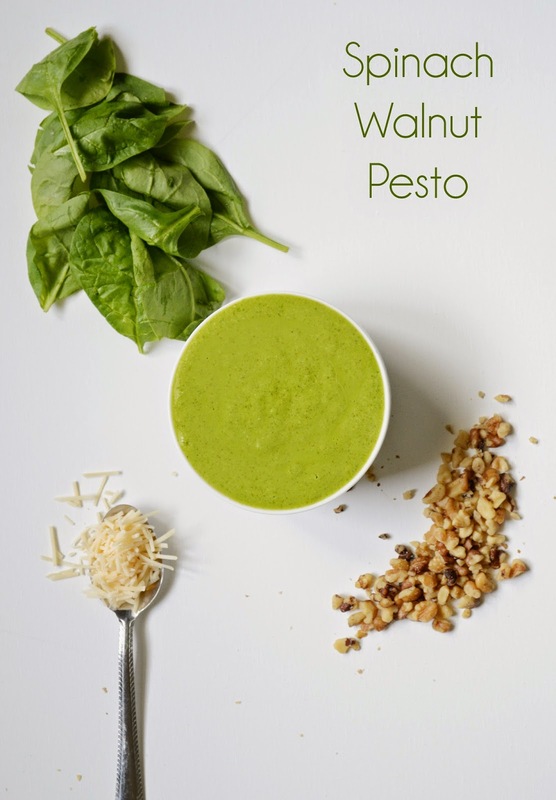 In a food processor or blender put in spinach, walnuts, Parmesan and garlic. Pulse until things are roughly broken down. Turn on and slowly stream in the olive oil until everything is combined and the correct consistency. It should be pour able but not to thin, unless you prefer it thicker and it should still be chunky. Lasts about two weeks in the fridge. This perfect for pasta, chicken, shrimp, a spoon... The possibilities are endless!